Our little Charlie, seen here in the middle, went on an Easter treat as he went on the latest George@Asda shoot at the farm for the day with their Easter campaign. He had such a great day playing with rabbits and digging in the sand. Did he find any treasure… well no Easter eggs… that’s for sure! Look out also in the next month for Abigail, Izzy and Megan in ASDA billboard campaigns . Urban Angels HQ are very excited. 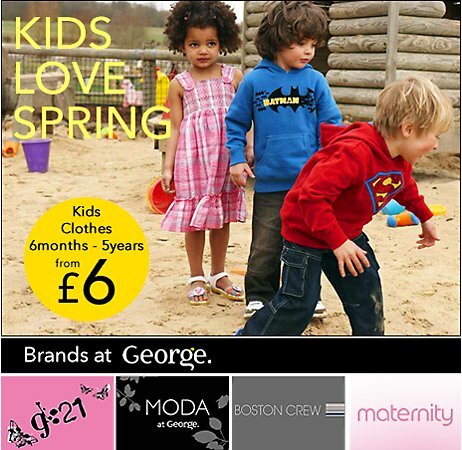 Posted in In Store, On Line | Comments Off on George@Asda Easter Egg Hunt! 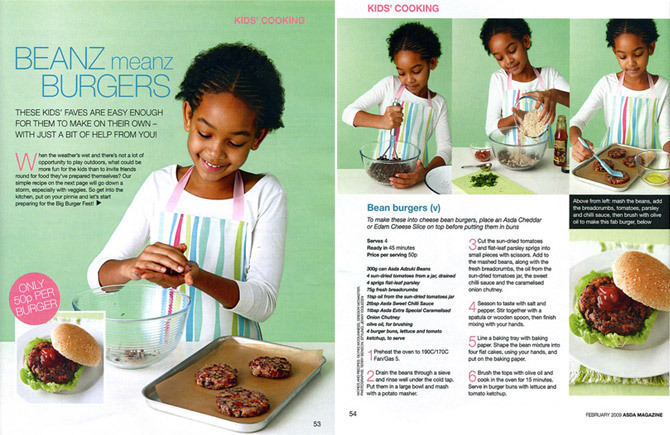 Jada-Kai was kind enough to do a little bit of burger testing for ASDA magazine last month and managed to put together a delicious looking burger for only 50p!! “When the weather is wet, what could be more fun for the kids than to invite friends round for food they have prepared themselves?” – Answer…. NOTHING! All Round to Jada-Kai’s house!